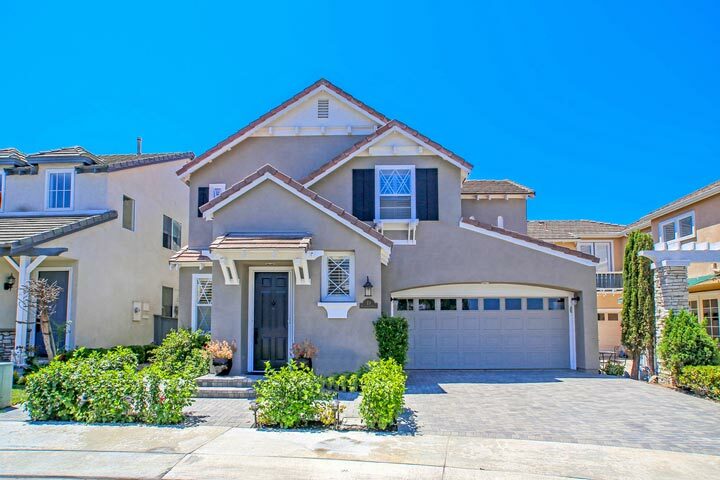 Canterbury homes are located in the coastal community of Aliso Viejo. Canterbury homes were built from 1998 and feature three to four bedroom homes that range in size from 1, 500 to 2,000 square feet of living space. The homes have a very unique architecture to them with select properties offering a covered pass through to the two car garage as pictured above. 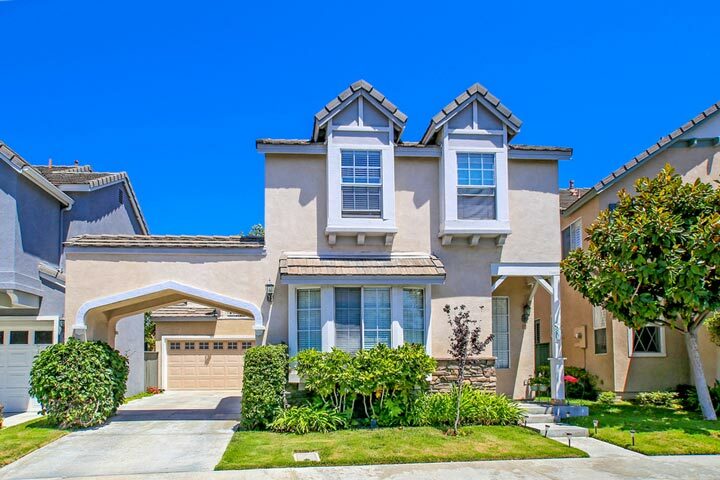 Below are the current Canterbury homes for sale and for lease in Aliso Viejo. Please contact us at 888-990-7111 with questions regarding this community and any of the properties listed for sale here. The Canterbury neighborhood offers a prime location that is within walking distance to the Canyon Vista elementary school. 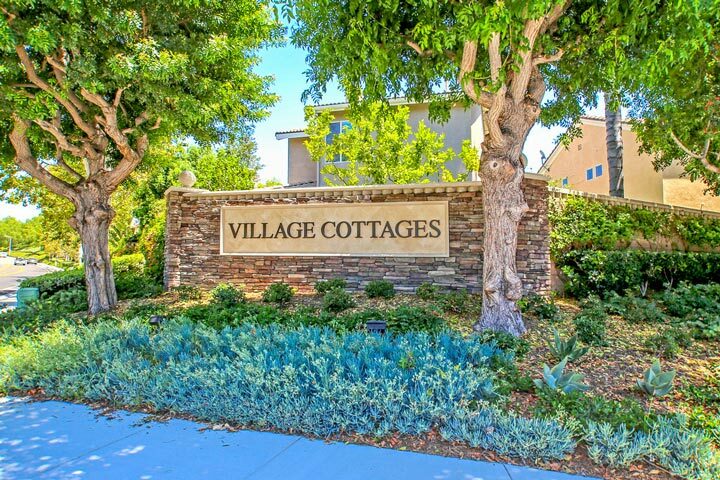 This is a private gated community called "Village Cottages" that is situated near the popular Aliso Town center shopping area filled with great restaurants, shopping and movie theater. There area a total of two homeowners association dues that are paid on a monthly basis here that include the gated entrance and small community pool. Based on information from California Regional Multiple Listing Service, Inc. as of April 20th, 2019 at 1:43pm PDT. This information is for your personal, non-commercial use and may not be used for any purpose other than to identify prospective properties you may be interested in purchasing. Display of MLS data is usually deemed reliable but is NOT guaranteed accurate by the MLS. Buyers are responsible for verifying the accuracy of all information and should investigate the data themselves or retain appropriate professionals. Information from sources other than the Listing Agent may have been included in the MLS data. Unless otherwise specified in writing, Broker/Agent has not and will not verify any information obtained from other sources. The Broker/Agent providing the information contained herein may or may not have been the Listing and/or Selling Agent.